I have a ton of confidence in my training program prescribed to me by Boulder Coaching. I also believe in my recovery and strength training strategies I have created off of the principles I have learned through Z-Health. Yet, my biggest struggles and frustrations are always my nutrition. What should I eat throughout the day to maximize my training? Am I eating too much or not enough? What should I do specifically during training and racing so I don’t bonk or experience terrible G.I. issues. I am notorious for having issues with my G.I. especially when racing. However, this year I am changing everything up. I am working with 1st Endurance to help me get on track with my nutrition. Please follow me on my journey to become a healthier athlete. I will be blogging the changes I am making and following up with how it affects the way I feel and perform. I had the pleasure to speak with Robert Kunz the Co-Founder of First Endurance and Sr. VP of Science and Technology, about my struggles in the past, with G.I. distress and poor nutrition choices. Together we have created a plan that I will be strictly following for the next few weeks to see how I adapt. Making sure that all the sugars I eat when NOT exercising are accompanied with fats and proteins to eliminate sugar crashes. For example: Adding Almond Butter (fat and Protein) to a piece of Gluten Free Toast (sugar). 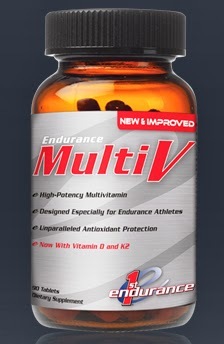 MultiV– Comprised of all the daily vitamins and nutrients endurance athletes need for health and performance. Vitamin C- helps decrease cortisol levels and increase testosterone, levels. It also helps your immune system, which is very important for endurance athletes. Iron – crucial for female endurance athletes who live at altitude. Zinc – also helps with the immune system and muscle recovery. 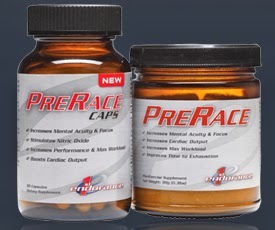 Optygen HP- “Clinical studies showed a 23% improvement in endurance capacity and a significant increase in energy (ATP) production.” – 1st Endurance Website. 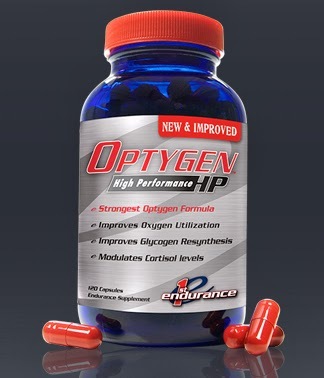 Optygen HP also reduces cortisol levels leading to better recovery times, improved VO2, increased oxygen utilization and enhanced overall athletic performances. The new formula of Optygen HP delivers 50% more beta-alanine. Beta-alanine helps athletes increase the time it takes for them to become exhausted by affection lactate concentrations. This also enhances athletes VO2 max. ii. Fantastic for hot weather training and races. i. 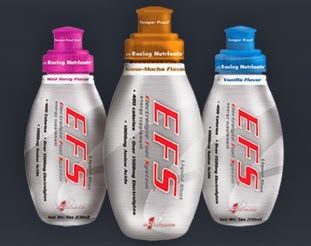 When exercising in cold weather get most of your calories from EFS Liquid Shot as apposed to EFS Drink. You are less likely to consume the same amounts of water when you are cold and you don’t need the high levels of electrolytes. 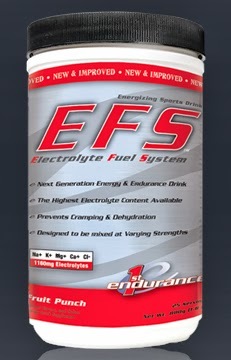 However, even when it is cold you do need to ingest the same amount of calories, which can be done with EFS Liquid Shot. Ultragen mixed with water right after exercise and waiting 15 minutes before eating solid foods so the Ultragen can be digested quickly and efficiently. If you are looking to go gluten free please see below are four suggestions for breakfast. The mornings that I have a hard track practice at 6:45AM I cannot stomach a large meal before a hard run. Therefore, I will have 1 serving of Ultragen mixed with Almond Milk. The Almond milk makes it so my body doesn’t break down the Ultragen as quickly. 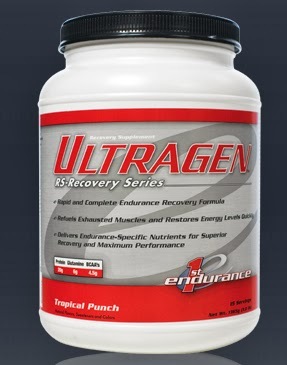 ***If drinking Ultragen for recovery from a workout, mix with water instead of almond milk so that it can be absorbed very quickly. Visit First Endurance for more triathlon nutrition plans.